“Whatever” was rated the most annoying word of 2013 by 38% of respondents of a recent survey. A number of 1,173 Americans have been surveyed in early December by the Marist College Institute for Public Opinion, based in Poughkeepsie, New York. The new result is up from 32% in 2012, pollsters said. 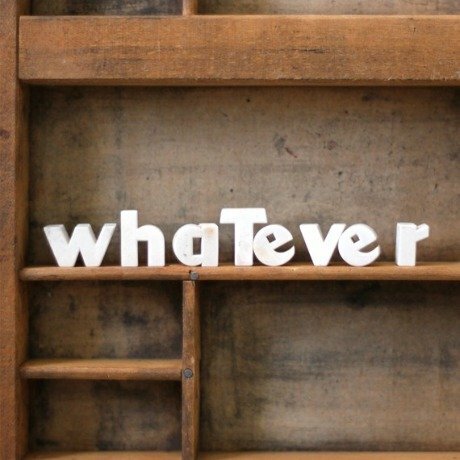 What’s more, “whatever” has topped the annoying word charts for five straight years. “The word can be very dismissive and rude,” said Mary Griffith, media director for Marist. Americans also do not like the word “like,” which ranked second in the survey of most annoying words, at 22%. The term “you know” pulled 18%, “just sayin” 14%, and “obviously” 6%. Two percent of respondents were unsure. Marist began polling on annoying words five years ago. The word choices are provided to the respondents based on Marist research and prior surveys, Mary Griffith said. While most Marist surveys focus on politics, the poll on annoying words is enlightening, she said. “We like to keep a finger on the pulse of popular culture,” she added. In the same survey, Marist pollsters wanted to know what political word or phrase Americans would like to see disappear in 2014. “Obamacare” was mentioned by 41% of respondents as a word they do not want to hear next year. Americans are also averse to and would like to eliminate the Washington terms “shutdown” and “gridlock,” which got votes from 30% and 11%, respectively. “Fiscal cliff” got 10% of the vote and “sequestration” 4%. Four percent of respondents were unsure.